A partner at Keating Muething & Klekamp since 1987, Tim Matthews now serves in the Of Counsel capacity for the firm’s Commercial Finance Practice Group. His practice focuses on bank transactions, institutional and fund lending and a variety of complex financing transactions. His financing experience includes syndicated loan transactions, mezzanine capital transactions, equity and private venture transactions, private placements, leveraged ESOP buy-outs, equipment financing and leasing, joint venture arrangements, international lending, debtor-in-possession financing, loan workouts and bankruptcy reorganizations, sale-leasebacks, like-kind exchanges and other sophisticated financing, bankruptcy, reorganization and corporate transactions. As general counsel to a number of firms, and with business experience as a director of several clients, Tim brings a broad business perspective and interdisciplinary skills to transactional work. He also brings specific skills with particular experience in structuring mergers and acquisitions, divestitures and tax-driven transactions such as spin-offs, split-ups and tax-free reorganizations. His tax experience extends to active involvement in tax controversy matters and estate and succession planning for senior executives and high net worth individuals. He is also experienced in new business formation and counsels clients regularly on tax and other matters relating to choice of entity. 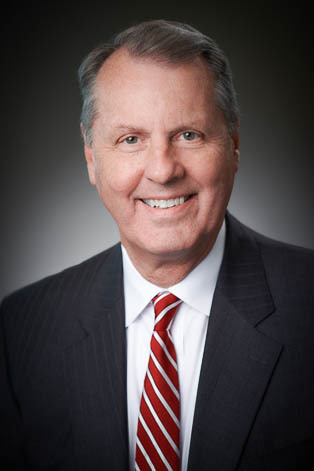 Tim has appeared pro hac vice in many other jurisdictions, particularly in the context of loan workout and collection matters and U.S. Bankruptcy Court proceedings involving transactional matters such as Chapter 11 reorganizations, secured party proceedings and sales pursuant to §363 of the U.S. Bankruptcy Code. After graduating from Harvard Law School, Tim joined the firm Brown & Gardner Co., L.P.A., where he served for six years prior to joining Keating Muething & Klekamp as a partner. He has served as Adjunct Professor of Law in the field of federal taxation at The Salmon P. Chase College of Law, Northern Kentucky University.